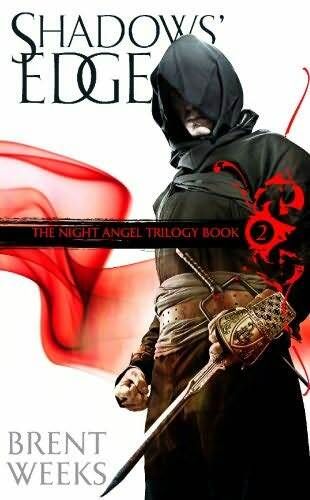 The Night Angel Trilogy is a fantasy series written by Brent Weeks. The story follows the life of Azoth (later Kylar Stern) as he struggles as a guild rat to become the ultimate wetboy (an assassin with some magical talent) then tries to leave it all behind and finally becomes the avatar of retribution: the Night Angel. I should mention, since I did listen to the books, that Paul Boehmer, after about 20 minutes of getting used to him, was kinda awesome. In the beginning, his narrating seemed slightly over-the-top to me, but having gotten used to his style, I could see how he got all the right inflections at all the right moments. I’ve not had tears in my eyes (if not outright falling) in quite a while. Granted, a lot of the credit should go to the author, but Boehmer definitely does the books justice if you can get used to his style. I can’t quite come to terms with how many different directions my mind and heart have been jerked to while listening to these books. It’s simpler to say that I think these two books have been stupidly awesome (stated that way because unbelievably, amazingly, and other such words don’t describe how I actually feel about it), and I’m glad I finally decided to listen to them! Please, go out and grab yourself a set of Night Angel books! There’s even a prequel called Perfect Shadow that you can get for your favorite e-reader right now.